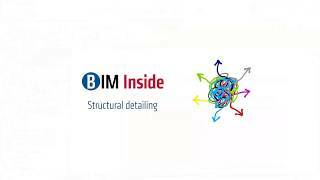 BIM Inside - Structural Detailing is a plug-in that allows you to create masonry-reinforcement concrete slabs, views, rebar details and marks for structural sheets of reinforcement concrete structures. define a unique mark for structural elements. optimize and simplify the creation of structural sheets by managing joints between different structural elements. Trial version (30 days); 5 days after the installation, users have to log in with their S.T.A. DATA account credentials (command BIM Inside> Manage>License>Activation).